Comments: This is a popular tropical indoor plant for large commercial plantings as well as at the residential scale. 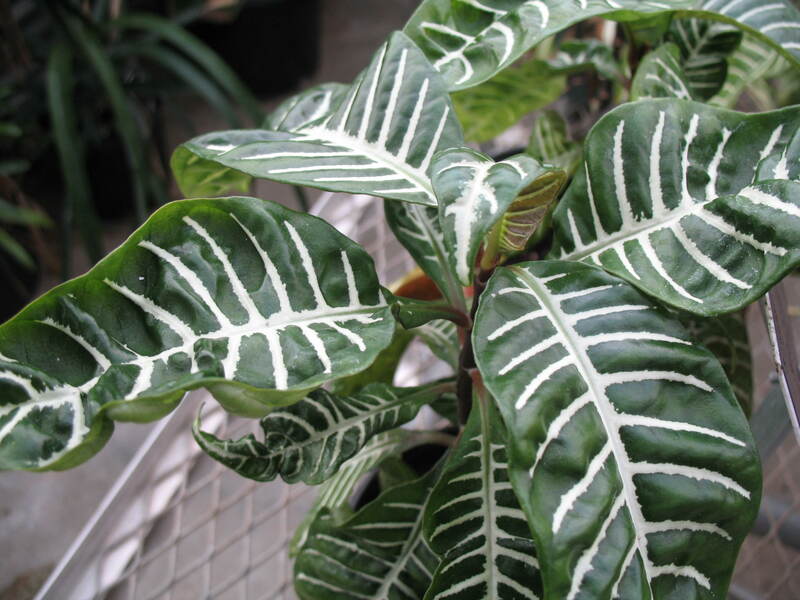 The attractive variegated green leaves with broad creamy-white veins make it a standout in plantings especially in areas where there is a need to lighten up the area with the accent that the white variegation provides. Grows best in a moist, fertile soil and morning sunlight. Cannot tolerate freezing temperatures.